Deck the halls with boughs of holly, Fa la la la la, la la la la... Are you hosting a houseful during the holidays? If so, it can be stressful and not to mention a true art form. And if you’ve had the honor in holidays past, you know precisely what we’re talking about. Whether you're throwing that annual holiday cocktail party, hosting dinner guests or have out of town visitors spending the night you may be feeling a bit overwhelmed. However, with a game plan and a little inspiration, the holidays don’t have to get the best of you. Now, with only a few days to go, we thought it would be helpful to pull together a few simple tips to get your home ready for your friends and family. Here are seven easy solutions to help you do it in style. Having extra living room seating is key. An ottoman can accommodate one or two and is prime central seating for those who like to be in the thick of the action. Also, a pouf is another great idea and can easily be moved around. Cushy oversized throw pillows are a great way to accommodate extra bodies and ideal for the kids and young adults you might have on your guest list. Cluster them together if you have a small army or circle them around the tree for easy access to gift opening. Bring the outside indoors with lots of greenery. Softly drape garland over the mantel or up the banister. You can even hang it around artwork or drape it down your table. It instantly adds color and texture while giving your home a more organic feel. And an added bonus is the yummy pine scent. For your dining table or entryway, forgo the expensive floral arrangements and just add tall branches (they can be leafy or bare) to a simple white vase or glass vessel. It's a quick and inexpensive way make your home feel cozy and festive. Get ready with extra seating around your dining room table. There are so many chic new options that can actually be a nice (and they don't even have to be temporary) complement to your space. As far as materials go, we’re partial to Lucite that adds a touch of glam. There are also more than a few innovative molded plastic styles that come in vibrant hues that can add just the right pop of color for a festive overall look. 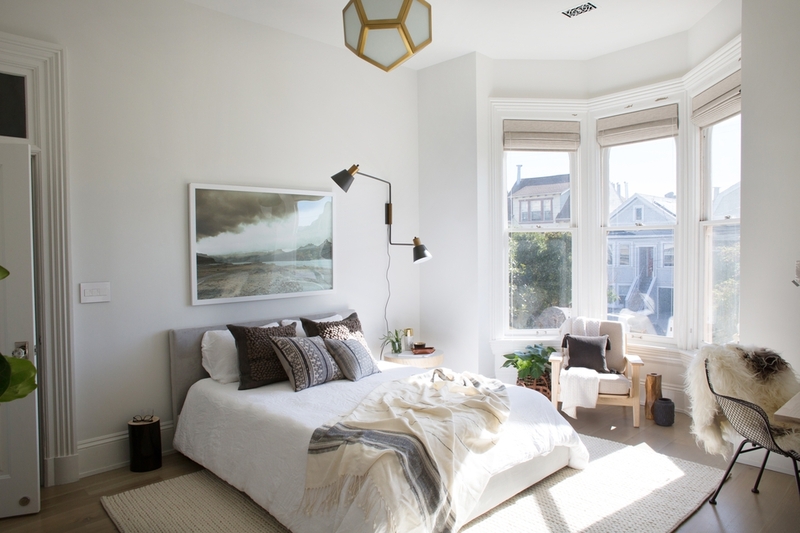 It's important for your guest bedroom to be a respite for visiting family and friends. Some essentials are crisp clean sheets, bedside reading, a scented candle and a bottle of water. Also, it's nice having some extra seating in your guest bedroom. Whether it’s a spot to sit and put shoes on, relax and read or simply lay out some clothes – it’s always helpful to have somewhere to sit other than the bed. If space allows in your living room, consider importing a small dining table or better yet a drop leaf table. This idea works especially well if you’re serving hors d’oeuvres or setting up a makeshift bar in the room. It's also great to use as an overflow to your dining table or to set up as an extra kids table. We always love when form and function collide and it’s the attention to the finer details that raise the bar (yes, we love a good pun!). And really, who doesn’t appreciate a well-appointed cocktail station? 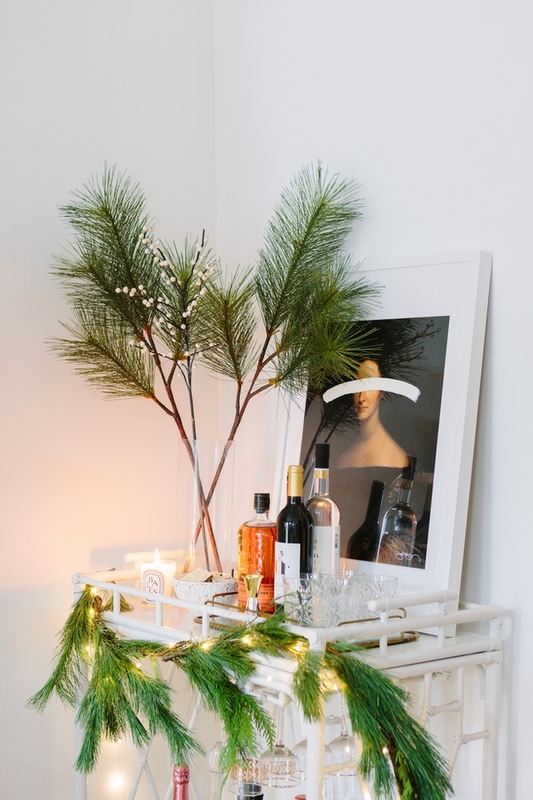 With guests arriving and lots of holiday cheer be sure to have your cart not only stocked with the right aperitifs but make it a focal point for your holiday decor. 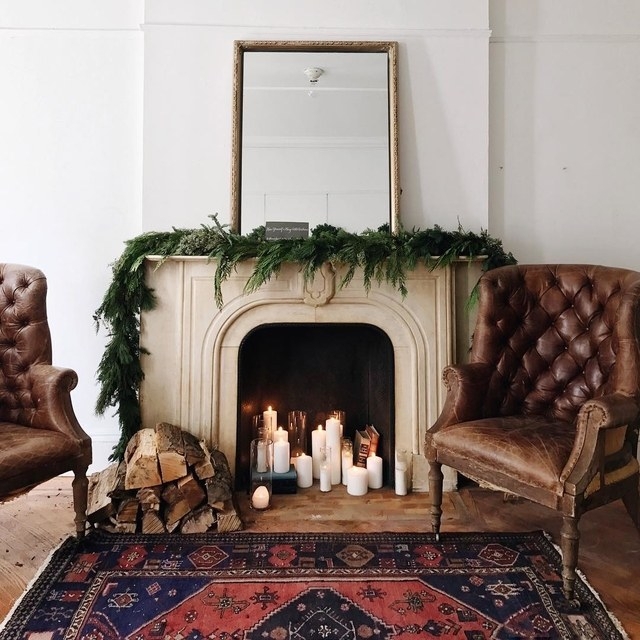 Incorporate one-of-a-kind finds such as vintage glassware and crystal decanters with fun holiday napkins, some greenery, and a little brass candle. Now you've got your party! Of course, we're always looking for a good excuse to pull out the silver and china, and needless to say, there is no better time than the holidays. Don't be afraid to mix and match styles and patterns. 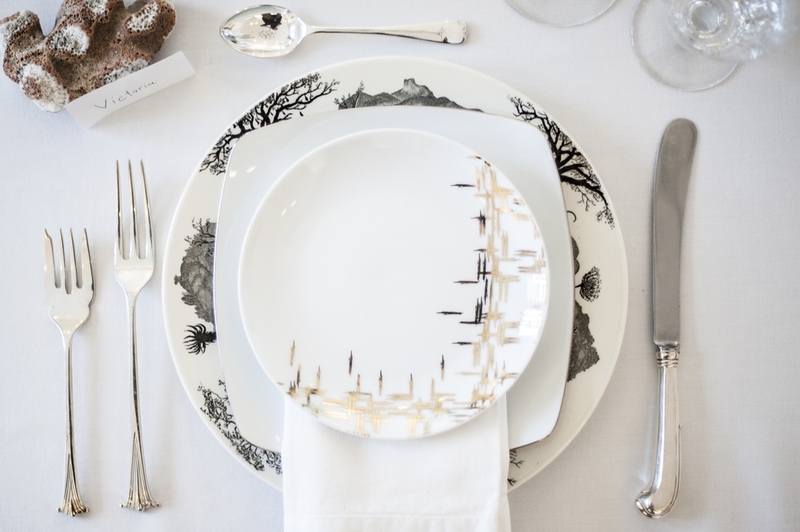 We like to mix modern dinnerware with family heirlooms and vintage pieces. It gives your table personality and style.